There’s no better feeling than bringing your puppy home for the first time. Think back to that moment. The excitement of introducing a new member to the household and doing nothing else but watching them explore their new surroundings. Your pup, going from room to room, sniffing and smelling, with this look of curiosity. Then when you least expect it, your pup lifts its back leg-up to mark its territory. In this situation, for some, this may feel like the end of the world. Your white, living room carpet is ruined and tainted with a urine pet stain right smack dab in the middle of it, for all your guests to see and forever remind you of that moment. Don’t forget the smell that might accompany that stain, too. 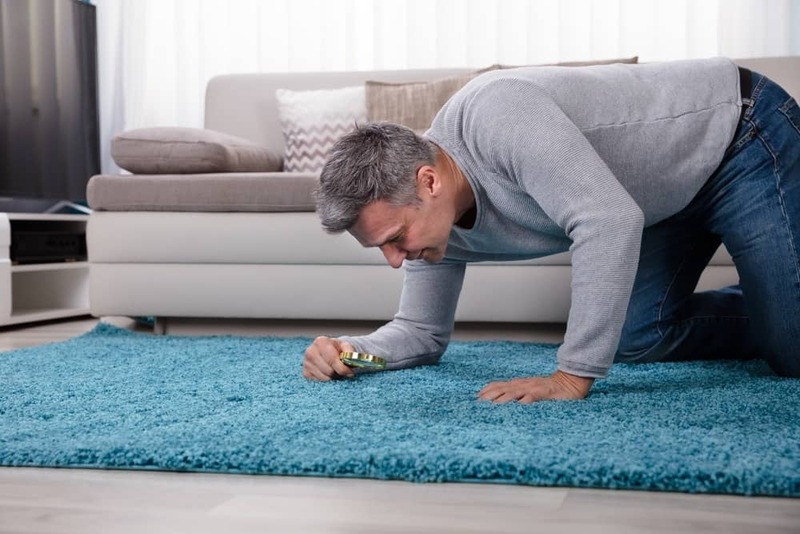 But don’t worry, you can avoid all of that with a good product that eliminates odors and stains, thus preserving the pristine look of your carpet. Let’s face it; whether they’re young pups or senior dogs, our canines are going to have accidents. 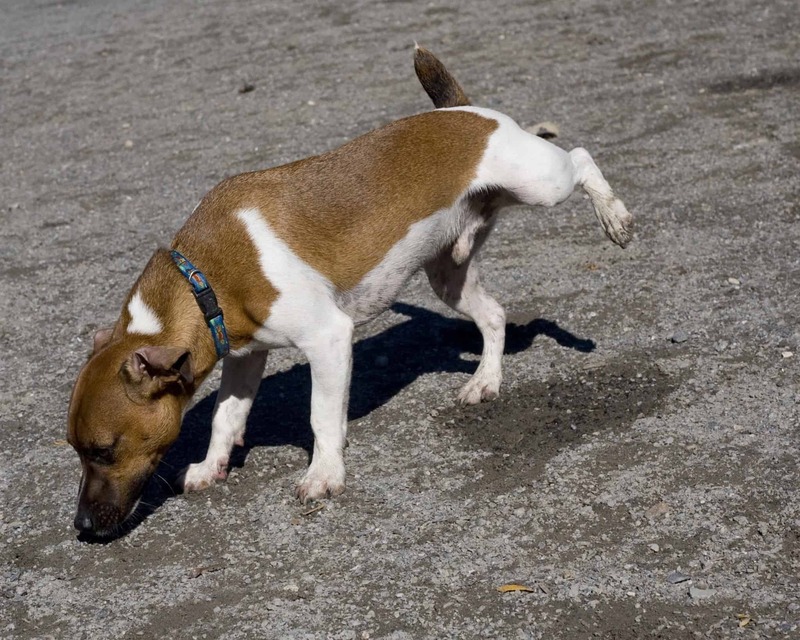 So, it is essential to be prepared and keep a quality dog urine stain and odor remover handy. 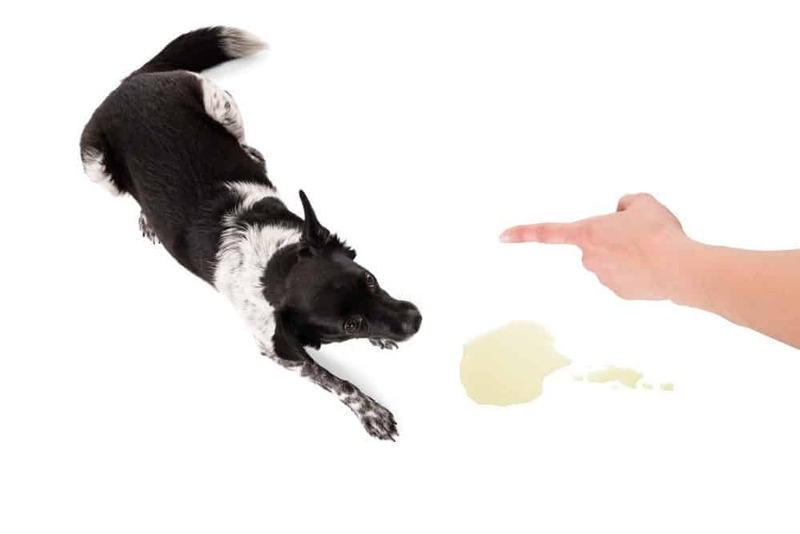 In this article, we’ll discuss the top-rated dog pee removers for 2019. We’re hopeful that you’ll be able to find one that suits your needs! First, we suggest that you do not use your own general household cleaner to remove urine stains from your floors or furniture. 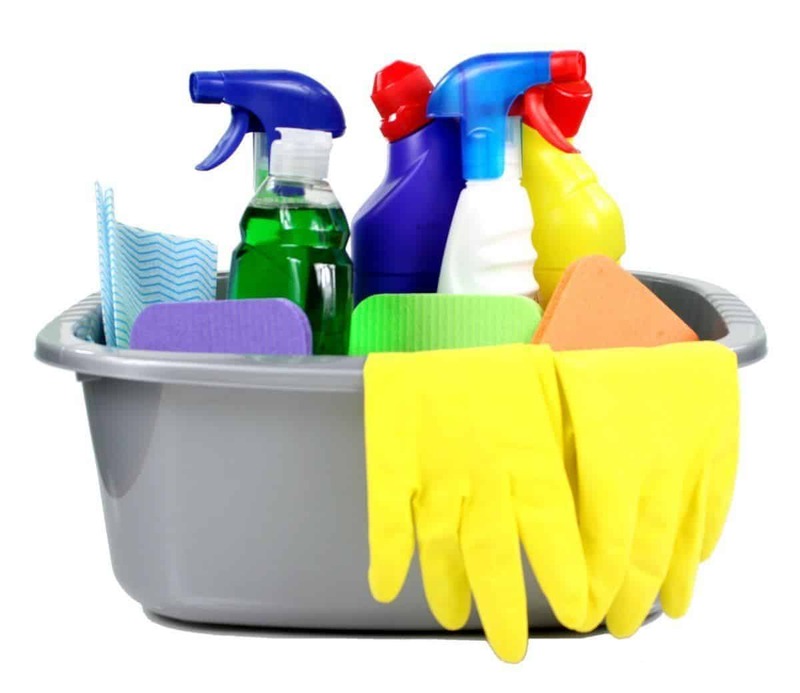 In today’s market, there are so many high-quality cleaning products that will definitely outperform your typical household cleaning product. Before committing to a specific brand or product, there are a couple of things to look out for, such as ingredients and the type of surface you will be using it on. You want to avoid ingredients that may be harmful to your puppy, just in case your pooch comes in contact, or even consumes the urine remover. 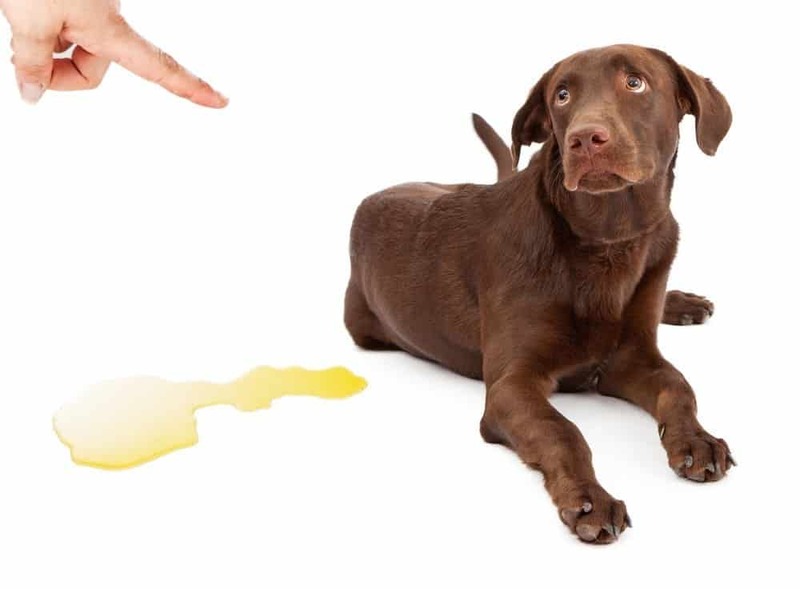 Some pet parents become so weary of products on the market that they look for organic formulas or even resort to concocting their own stain odor remover that won’t harm their pet. A quality and reliable cleaner should feature essential enzymes to remove urine stains and odors effectively. To clarify, enzymes do not remove odor. But instead, enzymes such as amylases and proteases, help break down and consume organic odor-causing bacteria, which reduces malodors. The enzymes break down the organic material into smaller parts, which becomes easier to lift during cleaning. Urine eliminators, those feature enzymes as their primary cleaning agents, work very well, especially on carpet. So keep that in mind when deciding on a particular brand to eliminate the remains of excretion, feces, and vomit. The various types of surfaces in your household are something to consider as well before purchasing a cleaner. Will you be using it on a hardwood floor, tile, or carpet? What about your furniture? These questions are ones to consider strongly before making a decision. For example, a product that works well on carpet, may not have the same effect on a hardwood floor. So make sure the product you buy will not cause damage to the surface. However, if you have multiple types of surfaces in your household, look for a multi-surface urine cleaner. sweep a dark light or UV light over the area your pooch urinated on. A UV light is especially useful if you have a dark hardwood floor or carpet. So, if you smell a strong stain odor around your house or room, and cannot seem to find the pet stain with the naked-eye, then turn off your lights, grab a UV light and start searching. You’ll be surprised at what you might find. You can also visit our latest guide that helps prevent your dog from peeing in the house in the future. When it comes to cleaning stains on your carpet, consider whether the accident just happened, or has it been sitting for some time. If the excretion is fresh, then immediately use a paper towel or newspaper to soak up the pee. Keep doing so until the spot is barely damp. To help prevent future accidents, take the paper towel or newspaper that you used to soak up the excretion and place it in your pet’s designated bathroom area. After, rinse the area with water and then blot dry. Once you’ve completed these steps, then go ahead and proceed and use the urine odor and pet stain remover accordingly. Now, if the excretion is not fresh and has had time to set-in and dry, then go ahead and use the pet stain and odor remover. For stubborn stains, then you may want to consider renting a carpet cleaner from your local hardware store. 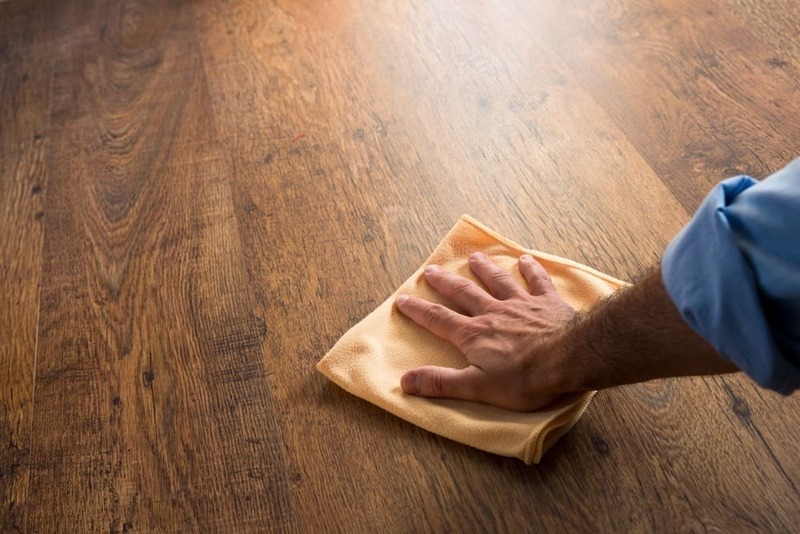 After an accident, and you begin to notice discoloration either in your furniture, wall, or floors, then they are probably reacting to the acid in your pet’s excretion. You may have to strip away and repaint or coat the varnish or paint. Whatever the case may be, just make sure you choose a finish that will not harm your pet. However, another way to avoid having to repaint or refinish is to use enamel paints or wallpapers that do not negatively react to cleaners with enzymes. First, observe your pet and the average time it waits between bathroom breaks. Once you figure out how long your dog can hold its pee, use that information to structure a bathroom routine of when to let them out. 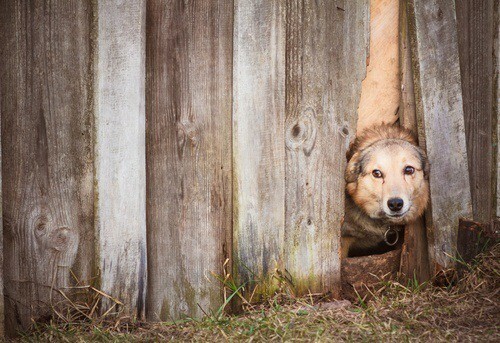 If your dog stays indoors and has a designated space to go to the bathroom, then a routine may not really be necessary. But in the case it decides to have an accident in the wrong place, then I would use the paper towels or newspapers that were used to clean up the mess; place them in the designated bathroom area. The soiled paper towels/newspapers will help remind them of where they’re supposed to pee. Also, after cleaning up an accident, try to make that space unavailable to your pet, so they’re not tempted to go in that same place again. Finally, when your pet goes when and where they’re supposed to, provide positive reinforcement in the form of praise, a treat, or both. Every little bit helps when training a canine. Also, here’s an article on preventing your dog’s urine from killing grass; should they cause accidents outdoors frequently. This product by No Scent is 100% sustainable and eco-friendly, featuring a plant-based formula. It uses fewer ingredients but lasts longer than its competitors. Its advanced probiotic odor elimination solution does not contain any harmful ingredients and uses five scientifically human-grade bacteria strains which will organically remove malodors upon contact, no scrubbing needed. This urine odor eliminator is designed to work on various surfaces, such as metals, plastics, artificial grass, and can penetrate porous surfaces such as concrete, grout, and wood. So you can confidently apply it on walls, floors, and color-fast fabrics, without having to worry about damaging them. The reviews have been very positive for this product. Numerous customers loved that all you have to do is spray the urine spot and walk away, without having to scrub or rub. They love that it evaporates quickly and completely eliminates the bad odors without leaving a harsh chemical smell. What makes this product even better is that it comes with a 100% satisfaction guarantee, or your money back. You definitely can’t go wrong with this product. This is a high-quality enzymatic urine odor and stain remover. It is very effective at removing not only liquid waste, but poop, and vomit. This cleaner does not mask the scent but instead removes any elements causing the horrid smell. You can use it on any surface, but it works exceptionally well on carpet. So if you have a tough stain that’s an eye-sore to look at every day, then give this professional grade product a try. Customers gave this urine smell and odor eliminator great reviews. They loved that it came with two caps, one to spray and one to pour, which makes this product ideal for any size pet stain. Also, customers agree that it does an excellent job of cleaning carpet, and probably the best urine odor and stain remover they’ve ever used. This product by Skout’s Honor comes with a 100% satisfaction guarantee. This cleaner’s formula is non-toxic, biodegradable, environmentally friendly, free of any harsh chemicals. Best of all, it is enzyme-free, which means it will never expire or go bad. In addition, this product is manufactured under the California Green Chemistry Initiative, which will help give you the comfort knowing that your home, family, and pets will be safe. This professional grade cleaning product will eliminate stains and odors left from urine, feces, vomit, blood, mud, grease, and wine. The active ingredients that make this product so great are BioKore and a Molecular Deodorizer. BioKore is a plant-derived surfactant that breaks down and lifts away stains. The Molecular Deodorizer eliminates odor molecules left from urine, upon contact. It is safe to apply on rugs, carpets, upholstery, clothing and other porous and water-safe surfaces. Customers love this all natural formula because it gives them the peace of mind that it is safe to keep in the household. Many of them support the company’s mission to donate food to canines in need. Past customers love not only the effectiveness of this product but how fast it works. The smell, however, is debatable. Some customers like the fresh scent, while others feel the scent is too overbearing. Give this product a try and see for yourself. This company has been around and trusted for over 35 years. Its sunny lemon scent is refreshing and is excellent at removing stains and odors, and effective at preventing resoiling from your pet. Nature’s Miracle uses a fast-drying, enzymatic formula that breaks down organic stains on contact. For tough urine messes, the advanced formula breaks down urea, which is the source of pet urine odors. The dual-action oxy formula works well on stains that have had time to set-in. It also works well as a disinfectant, eliminating viruses and bacteria through the process of oxidation. It works well on multiple surfaces, such as carpet, hardwood floor, and tile. Customers love that they can rely on this product when it comes to removing tough urine stains and odors. They claim this new formula is better than the previous one. However, they did state that the smell is kind of strong in the beginning, but gently fades as time goes by. Try this product that has gotten the job done over the years. Stain Fu is a potent, yet eco-friendly remover. Its formula is a result of 40 years of experience in the carpet-cleaning industry. It is certified safe and effective by the Carpet and Rug Institute. It is excellent at removing stains from urine, vomit, and poop from literally any surface type, such as carpet, upholstery, and wood flooring. This product is more than a deodorizer, as it is effective at removing stains and odors at the source, leaving a fresh scent and feel. Customers love the effectiveness of this product. They love that it is safe to use and is free of any harsh chemicals. People like that the Stain Fu does not leave any sticky residue behind after it dries. Others claim that you may need more than one application, along with some agitation to really help penetrate and lift the pet stain and odor. This is another highly effective urine stain and odor eliminator certified by the Carpet and Rug Institute and manufactured in the USA. Its precise formula is full of enzymes that will do more than mask the malodor. It will remove the most stubborn stains and odors left from urine, feces, and vomit. Also, it is effective at preventing your pet from remarking the same area. This item works great on all surfaces, such as carpet, tile, wood flooring, and upholstery. Past customers rave about how wonderful this cleaning product is, claiming it does everything as marketed. They claim it has removed both fresh stains and ones that have been around for months. It leaves a fresh scent and deters pets from urinating in the same area. Some customers advise leaving a window open after spraying as they felt the smell was slightly overwhelming. But the smell does go away after a couple of minutes. If for some reason a urine stain and odor eliminator is not working out for you, or feel the need to use something in conjunction with the cleaner, then here are some other solutions to consider. 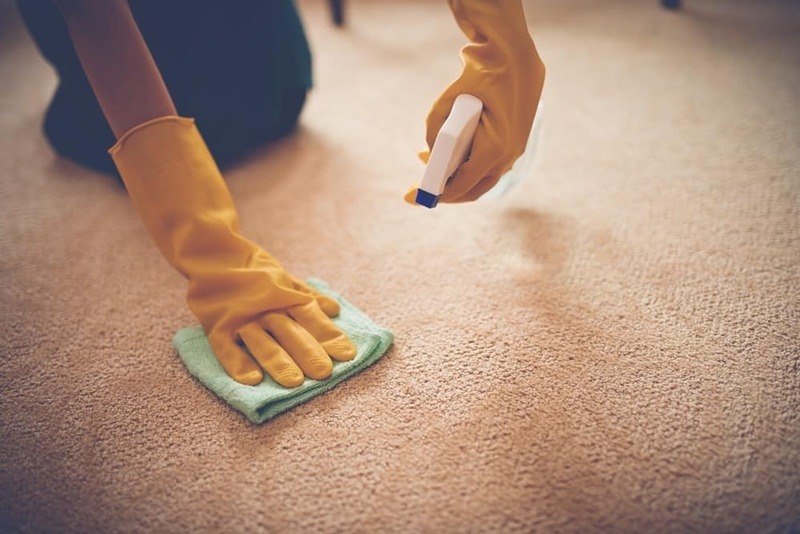 Sometimes a urine stain or smell has penetrated so deep into the carpet that you need something to do a more thorough job of removing the odor or blemish. A carpet cleaner will definitely take away any remnants of your pet’s accident. My “go to” deep carpet cleaner would be the Hoover Power Scrub Elite, to remove any stains and smells left by my pet canine. My personal favorite functions and features of this product are the Deep Clean Mode and Rinse Mode. Deep Clean Mode does precisely that, erasing all traces of urine, vomit, and feces. This carpet cleaner’s Rinse Mode allows you to wash your carpets with soap and water. Other customers that use this same product love the Quick Clean Mode with HeatForce because it allows you to clean and dry your carpet in about 45 minutes. There’s no need to feel that your carpet is beyond repair when using this product. So before wasting money on recarpeting your whole house because of a couple of urine stains left by your dog, try one of these carpet cleaners. 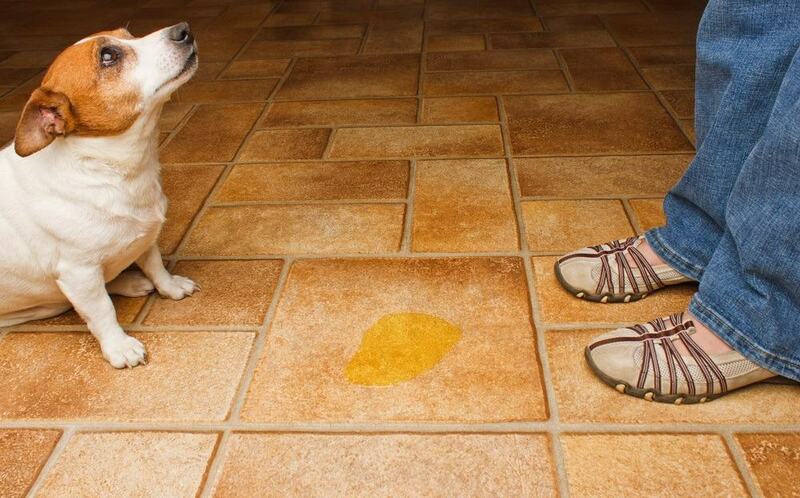 Another alternative to help rid your flooring of smells and odors left from dog urine or feces is vinegar. 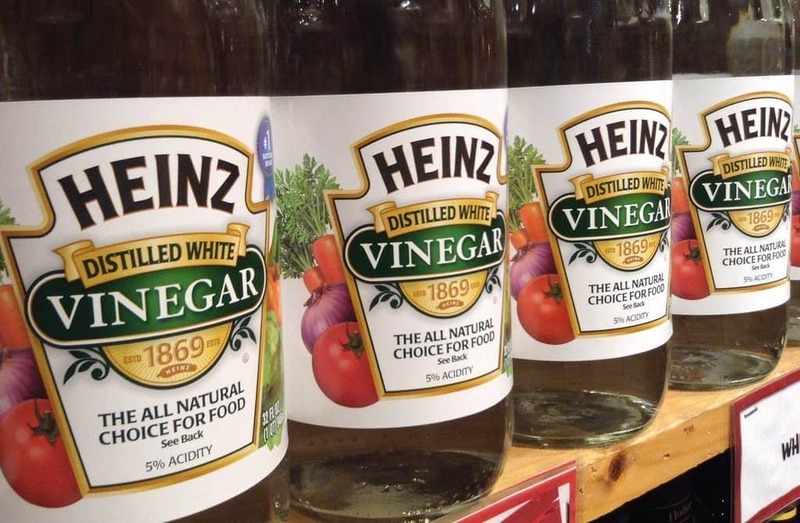 On the PH scale, white vinegar is more on the alkaline side of the spectrum and does an excellent job of deodorizing spots marked with dog urine. Vinegar breaks down the enzymes in urine, which helps remove the malodor from your floor. The most effective and efficient way to use vinegar to remove the stinky urine scent is to first soak-up as much of ite as possible with a paper towel or newspaper. Then combine one part white vinegar with three parts water. The amount you use depends on how much urine you need to clean up. Pour the solution over the soiled area and allow it to sit for 10 minutes before you begin drying. Allow the carpet to dry completely, and then vacuum the spot. Don’t let a little accident, or even a big accident for that matter, ruin your carpet. There are many products and solutions out there to remove even the most stubborn smells and blemishes left by your pet, both old and new. Remember to consider an enzymatic formula as you look for the ideal pet stain odor eliminator, as well as the type of surface you’ll be applying it to. All of the items mentioned in this article are the highest rated products in the market today. Have a pair of cleaning gloves readily accessible, to create a barrier between your hands and any mess you may have to clean up. I like to use a cleaning brush to help scrub and ensure the cleaner is fully penetrating the urine spot. To really ensure that all traces of urine is gone, I like to sweep a dark light or UV light across the area. Afterward, block the area off and give it time to dry before letting your pet or anyone around the area. Hopefully, you found the information in this article helpful.